Takulandirani ku portal ya wikipedia yamagulu! ny: Zopempha za tuma bot mbendera iyenera kupangidwa patsamba lino. Iyi wiki imagwiritsa ntchito ndondomeko ya bot botolo, ndipo amalola global bots ndi kuvomereza mosavuta mitundu ina ya. Mabotolo ena ayenera kugwiritsa ntchito pansipa, ndiyeno pemphani kupeza kuchokera kwa woyang'anira ngati palibe chotsutsa. If you aren't reading this in your preferred language, then please help us with translations! Subscribe to the Translators mailing list or contact us directly. We will notify you when the next issue is ready for translation. Thank you! 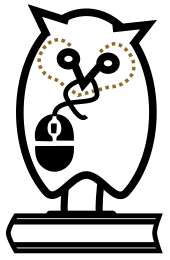 Hello, machine translation support for Content Translation (beta feature) has now been extended and enabled for users of this Wikipedia, with the inclusion of Google Translate. It can be used when translating Wikipedia articles with Content Translation. To start using this service, please choose Google Translate from the Automatic Translation dropdown menu that you see on the sidebar after you start translating an article. Please note, machine translation is available from all the languages that are supported by Google Translate, but Content Translation can still be used in the usual manner for translating from all languages, with or without machine translation support. While machine translation exists to aid creation of content conveniently, we would like to emphasise that before publishing, the final content should always be reviewed to avoid errors and ambiguity. We hope that your wiki community will find this new service useful, and that it will help you create more articles in your language. Wikimedia Foundation and Google have collaborated to work out an agreement that allows the use of Google Translate without compromising Wikipedia’s policy of attribution of rights, privacy of our users and brand representation. For more information, we request you to kindly take a look at the details about machine translation services in Content Translation and about Google Translate translation services. You can also read the main announcement on Wikimedia news. Please note, translations made using Content Translation are also used to improve machine translation services. We have tested the service for use, but there could be unknown problems that we are not aware of yet. Please do let us know on our Project Talk page if you face any problems using Content Translation. This message is only in English and we will be very grateful if it could be translated into for other users of this Wikipedia.